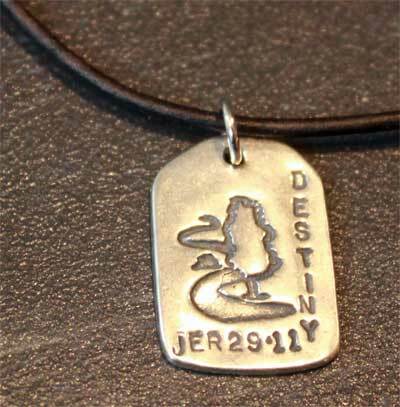 DESTINY: The winding road on this tag represents the path He has chosen for us and how fulfilling our life can be when we choose His ways as ours through the journey we call our life. For I know the plans I have for you, plans to prosper you and not harm you, plans to give you hope and a future. Jeremiah 29:11.